Freebies: Are you an SEO Expert? 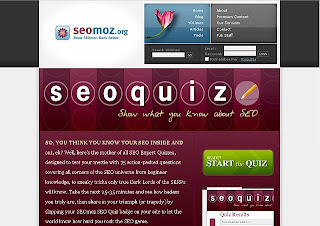 The quiz asks you a total of 75 questions and for every correct answer you get, the bar on the right hand side goes up indicating your level of knowledge on SEO. Got it via Dan Rua's blog. Is there a score below newbie? I would be too embarrassed to see my score! Newbies is not that bad. The lowest is Novice.